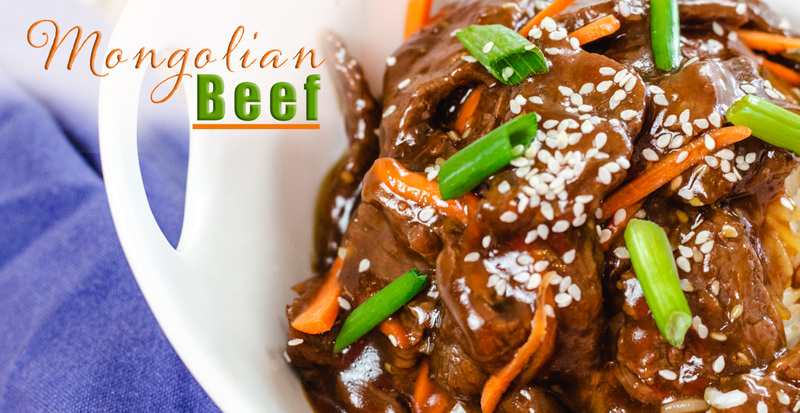 Mongolian Beef is a favorite Chinese Take out. 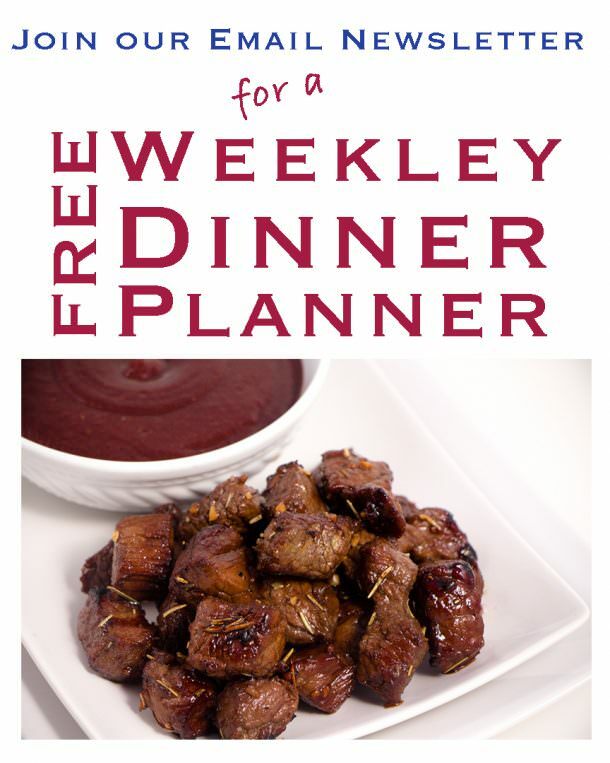 This recipe typically uses Flank Steak in a rich brown gravy with vegetables. 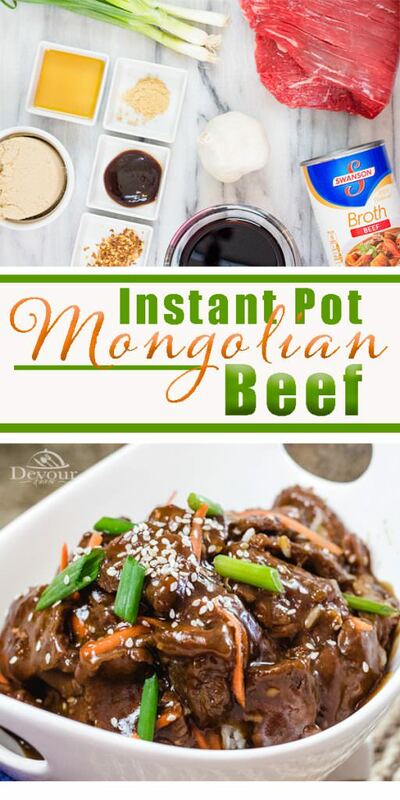 Make Instant Pot Mongolian Beef in your Instant Pot for a Delicious Dinner! 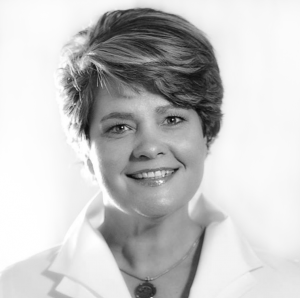 As a mom I’ve learned how to be frugal, it’s just part of life. 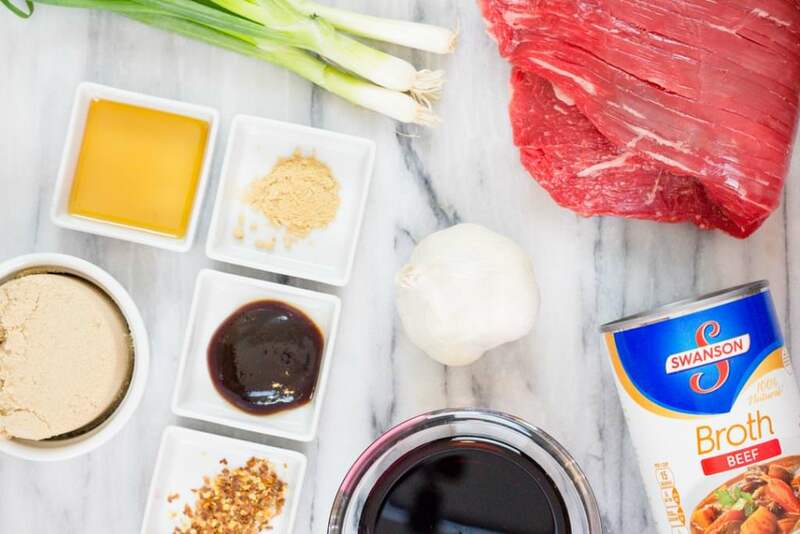 This recipe calls for Flank Steak which is heavenly all on it’s own. 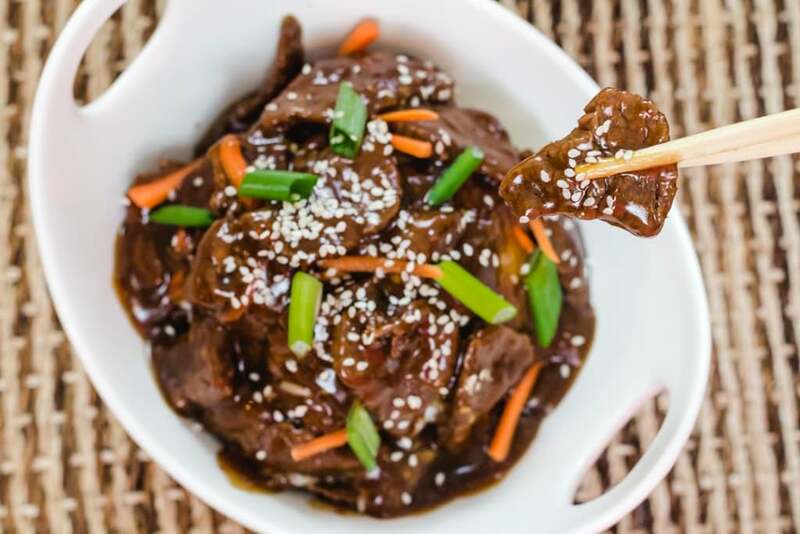 However, you can also use a lesser quality steak and still achieve a good copycat to the original Mongolian Beef Recipe you’ve come to love. 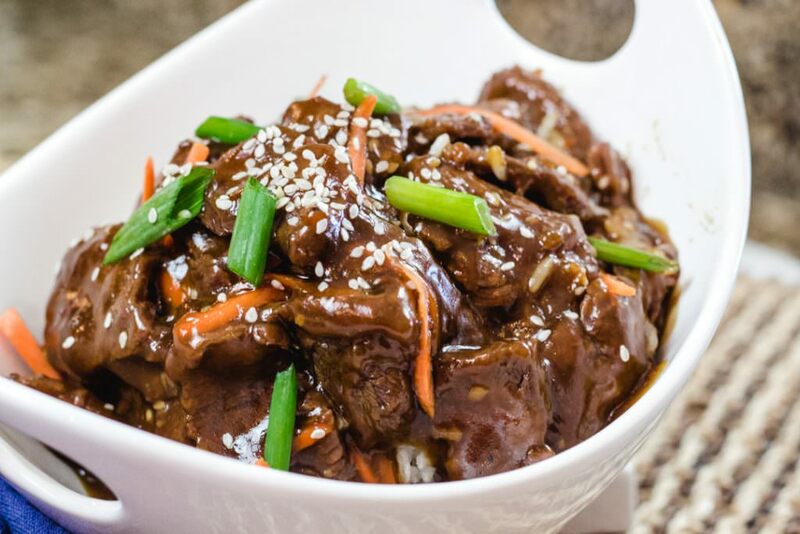 Instant Pot Mongolian Beef is quick, easy and so tender. It’s delicious. It’s no lie, I do have expensive tastes. However, I’ve learned hacks to spend less and still enjoy the things I want most. When feeding a family, and especially boys, meals need to go as far as they can while still providing nutrition and great taste. I’m a sucker for a great steak and I love Mongolian Beef. It’s juicy and tender and packed full of flavors that I just love. But I can’t always afford an expensive cut of meat. So this hack will save you a few dollars without losing the flavors you are looking for. Try purchasing Carne Asada, which is a thin sliced beef. Often times your local grocer will have packages of this thin sliced beef ready for you to pick up a package to two and you will be on your way to a great meal. The recipe is the same for either cuts of meat. But I hope you enjoy a few extra dollars in your pocket. I know I do! Do I have to use Flank or Skirt Steak for Mongolian Beef? No, you do not. Traditionally Mongolian Beef is made with Flank steak as it’s so juicy and tender, however I would also recommend a Carne Asada cut of meat as well. 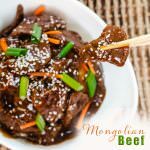 What can I serve Mongolian Beef With? We like Rice (brown or white), however you can also serve with noodles, chow mien, or even a bowl of freshly steamed veggies is perfect. I want to make a family style Chinese Meal, what other recipes can I try? 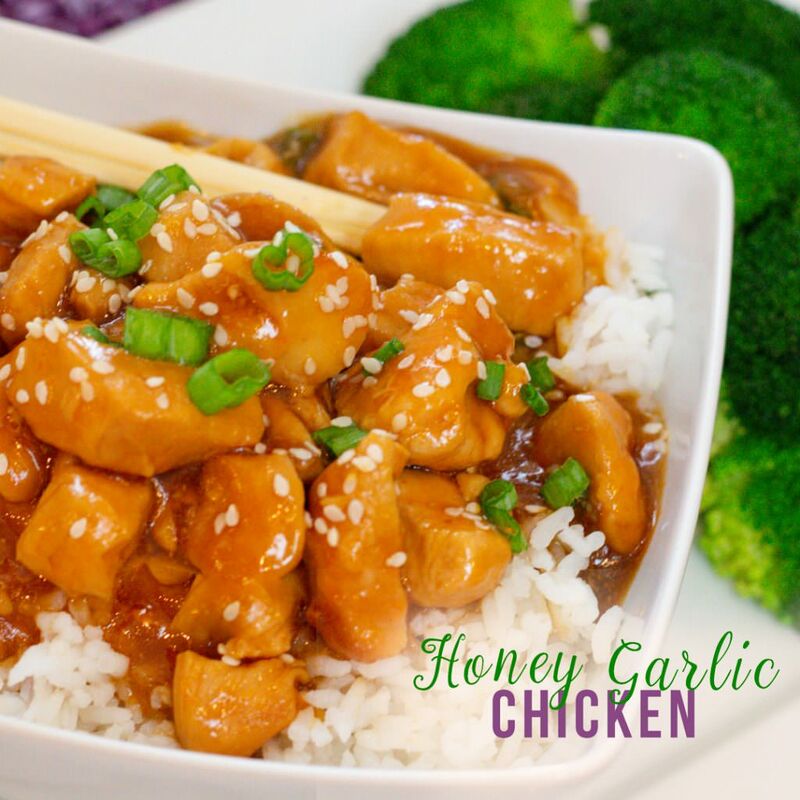 We love Family Style Meals and would certainly recommend Cashew Chicken or Honey Garlic Chicken. Both of these recipes are done in the Instant Pot. How do I thicken my sauce? The sauce can be easily thickened by adding 2 Tbs Cornstarch to as little as water as possible and adding it to your sauce. Red Pepper Flakes give this recipe a kick, but you can tone it down or up depending on how many you add. What does Mongolian Beef Taste Like? People love the taste of Take Out. The rich brown sauce is addicting with the flavors of soy, brown sugar, garlic, ginger, and red pepper flakes. It’s sweet and savory all in one and served over rice is the perfect balance of flavors. 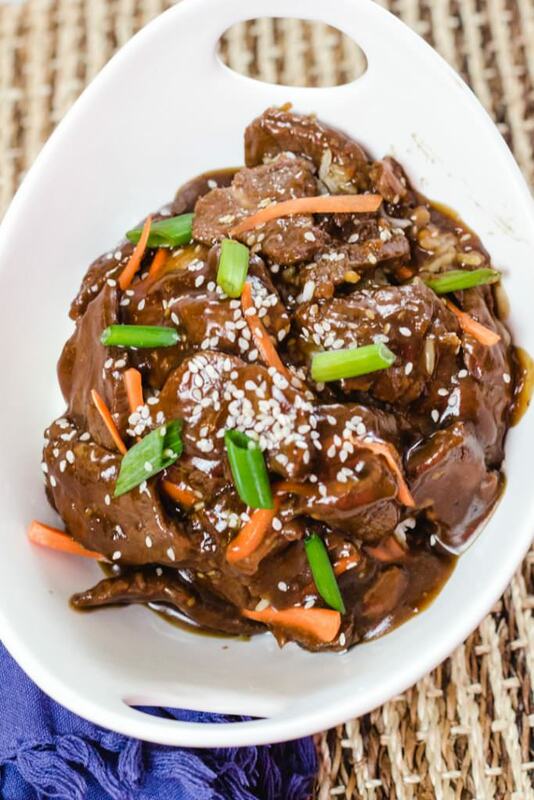 Pin this Mongolian Beef Recipe for Later! To thicken sauce, add 2 Tbl Cornstarch to as little as water as possible and mix, then add to your sauce over medium heat and stir. The sauce will thicken up nicely. Mongolian Beef is a must for Family Take Out. 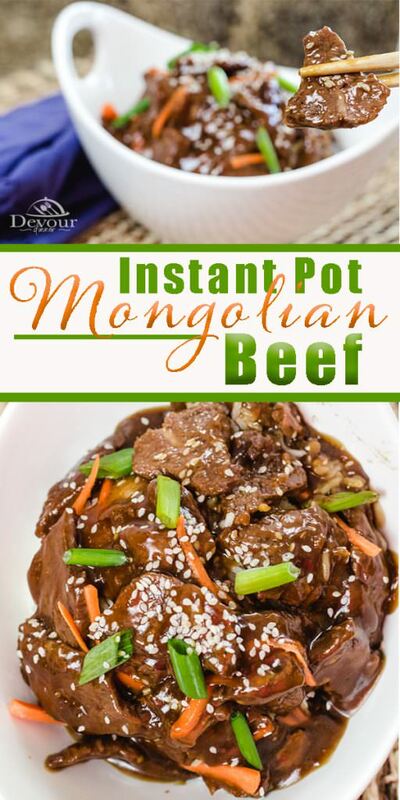 This spicy tender cut of meat made Mongolian style with this easy Instant Pot Recipe. Slice Flank steak against the grain at an angle into thin slices. Cut each slice into large pieces. In a separate bowl combine Soy Sauce, Brown Sugar, Beef Broth, Hoisin Sauce, Sesame Sauce, ginger and Red Pepper Flakes. Set Aside. Add sliced meat and cook for 90 seconds per side. Turn Instant Pot off. Add liquid mixture to Instant Pot and Beef. Stir. Set to Manual for 4 minutes and Quick Release (QR). In a separate bowl combine Cornstarch and water to make a slurry. 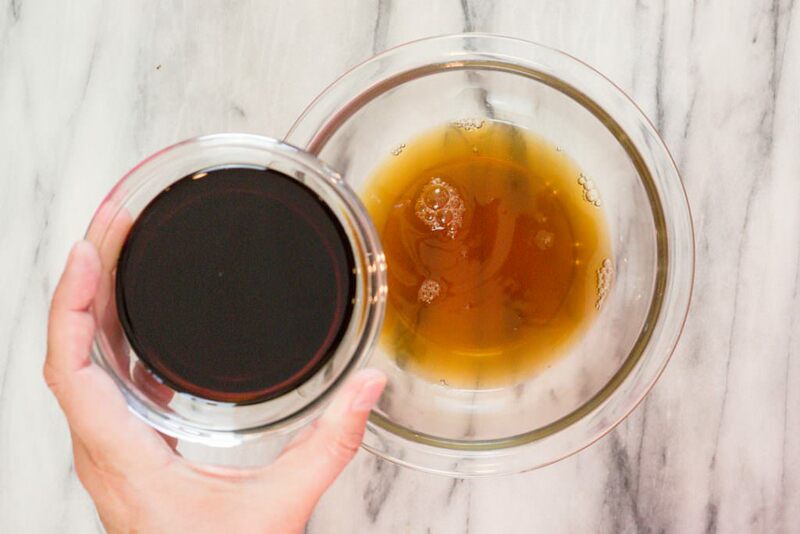 Add slurry to Instant Pot and heath through while stirring. Sauce will thicken. Add Julienne carrots and close lid for 1 minute. Garnish with Green onions and sesame seeds. Serve over rice, fresh steamed vegetables, or noodles. Hi. Can anything else be substituted for the flank steak? That cut isn’t always readily available here. Hi Holly! Yes! You can try other cuts of meat. I will often use a Carne Asada cut of beef roast. The butcher has packaged the meat in a perfect thin cut which allows me to trim it down and cut into bite size pieces. I have found this more affordable too. Did you use fresh ginger or ground ginger? Hi Emma! I used ground ginger in this recipe, I like to keep recipes simple. However you could use fresh ginger as it has a wonderful flavor.